We only say “Whisky Zero Romeo Romeo Charlie!” until they acknowledge us. IF they have a partial of our call then you say “Negative Negative” and repeat our call once or many times until they have it. When they confirmed our call they will give us their “Class and Section.” We will log that with their call. Make sure that we have it correct or ask to “Repeat Repeat!” or “Again Again!” until you have it right! Then give our class and section. “Please Copy… 3 Alpha… Mike November!” again confirm that they got it. IF wrong repeat our Class and/or Section only as needed! Then move on to the next Caller. A letter is given to indicate type of station and can only be… A, B, C, D, E, F.
LAX(Los Angeles), STX(South Texas), SNJ(South New Jersey), NFL(Northern Florida), MN(Minnesota), MI(Michigan), SD(South Dakota), BC(British Columbia), & NT(Northern Territories). Always verify the frequency is clear before calling! If wrong.. Have them repeat it until right! Always let others know when you have cleared the frequency! Finally always use proper phonetics with our information! 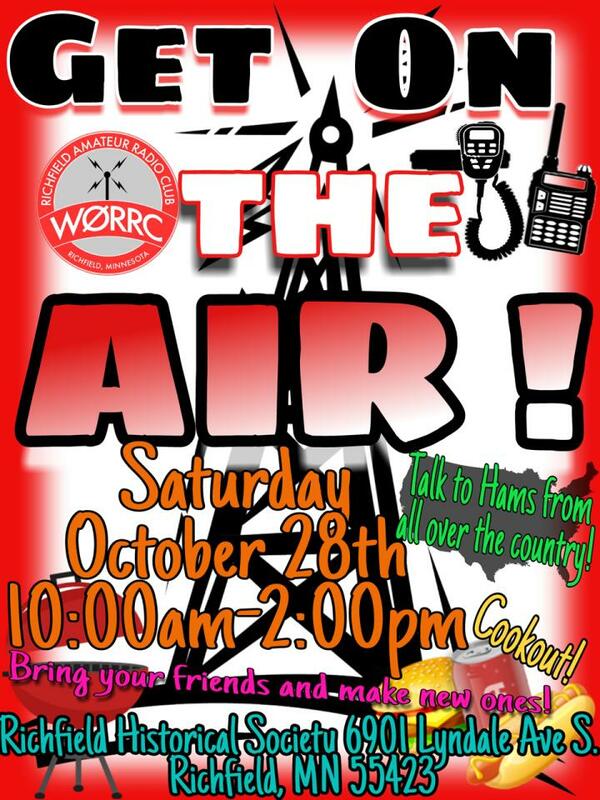 RARC’s 2nd GOTA event is coming on Oct 28th!! !